The largest volcanic eruption in human history occurred about 3,600 years ago on the eastern Mediterranean island of Thera, now called Santorini. Remnants of the once thriving advanced culture are now preserved beneath a blanket of volcanic material. 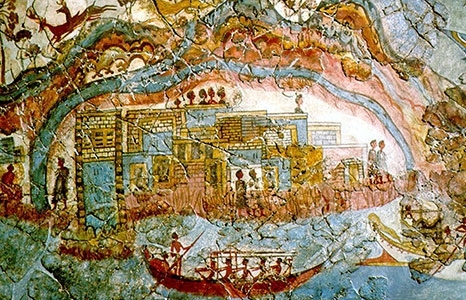 Excavations have revealed wall paintings and a snapshot in time of a magnificent Minoan civilization. Geoarchaeologists continue to discover fascinating details about the event, which led to the demise of the advanced Minoan civilization on nearby Crete. This illustrated lecture will look at the geology of the eruption and its effect on civilization in the Mediterranean.